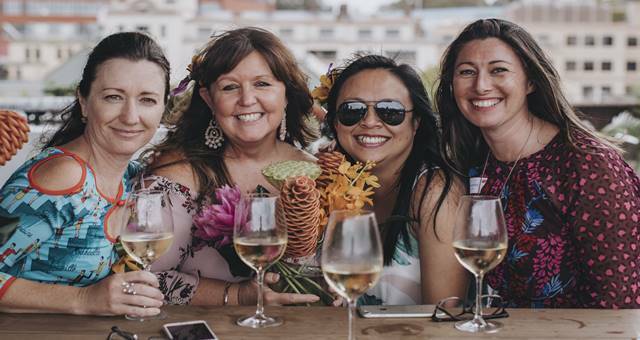 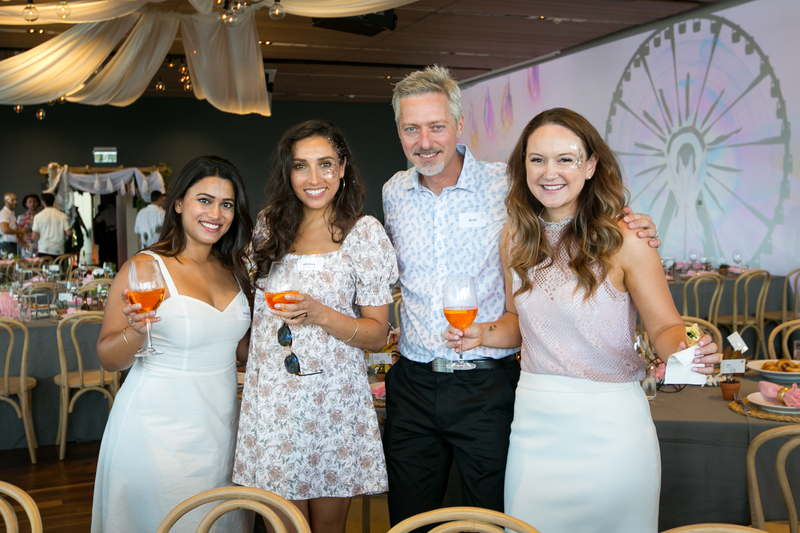 Complete with glitter, cocktails and boho vibes, AV1's festival-inspired long lunch was a hit with guests. 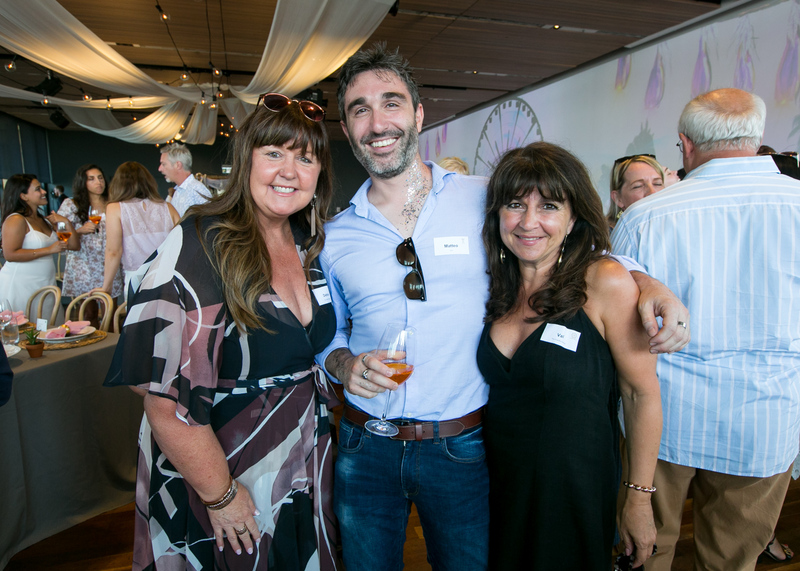 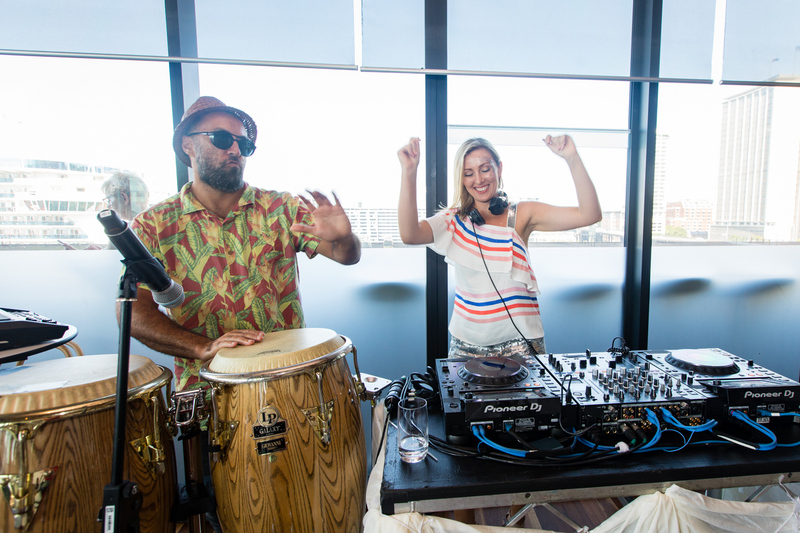 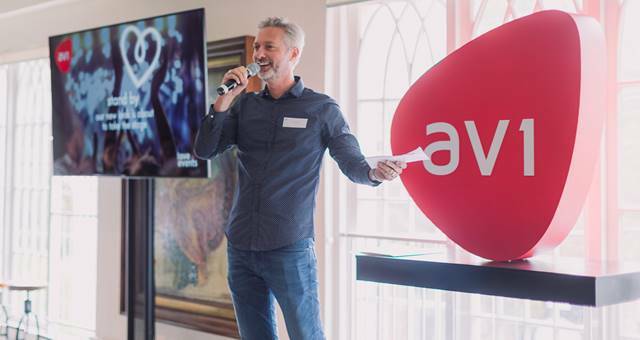 Leading audio visual provider AV1 kicked off the new year with their annual Long Summer Lunch, which was a hit with guests yet again. 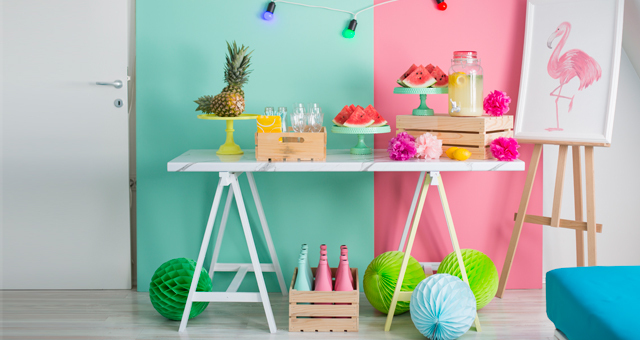 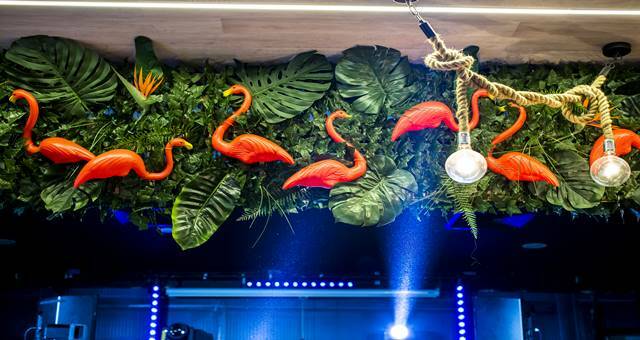 With 130 of AV1’s VIP guests in attendance, this year’s lunch took on a festival theme, with colour, glitter and eclectic decor aplenty. 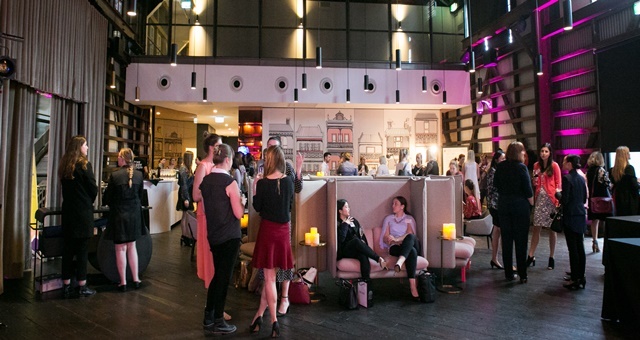 After printing their name tags at the Sprintr by AV1 kiosks, guests arrived at the Harbourside Room at Museum of Contemporary Art Australia, where they were greeted with cocktails and canapés to kick off the event. 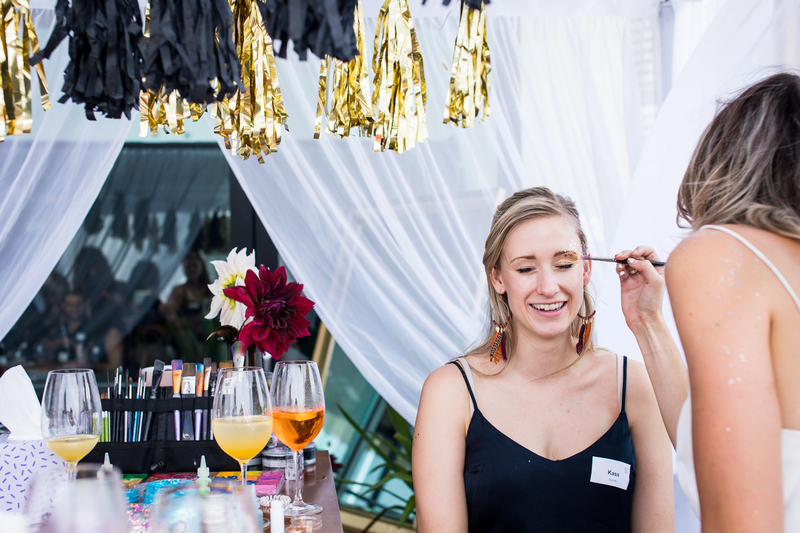 A glitter and temporary tattoo booth, provided by Instaglam Face Painting, was on offer to those who wanted to get amongst the festival vibe. 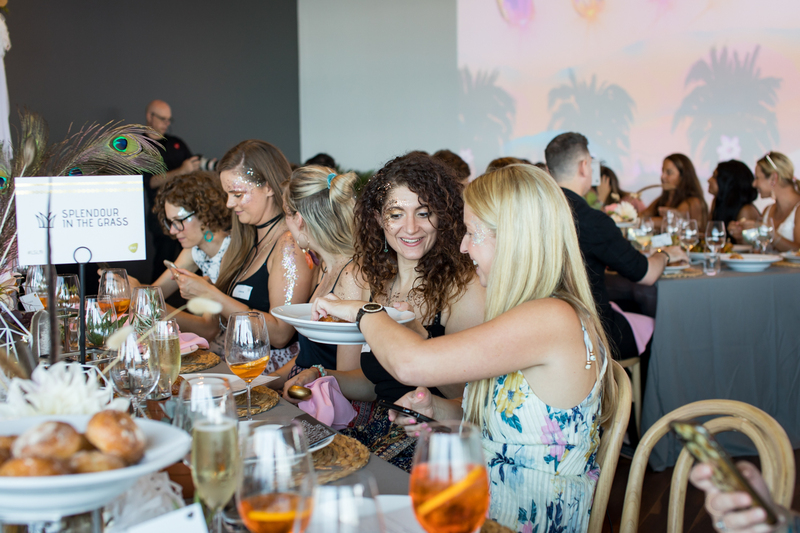 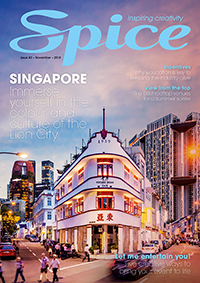 Guests took their seats at long tables, which were named after famous festivals, including Coachella, Burning Man, Splendour in the Grass and Glastonbury. 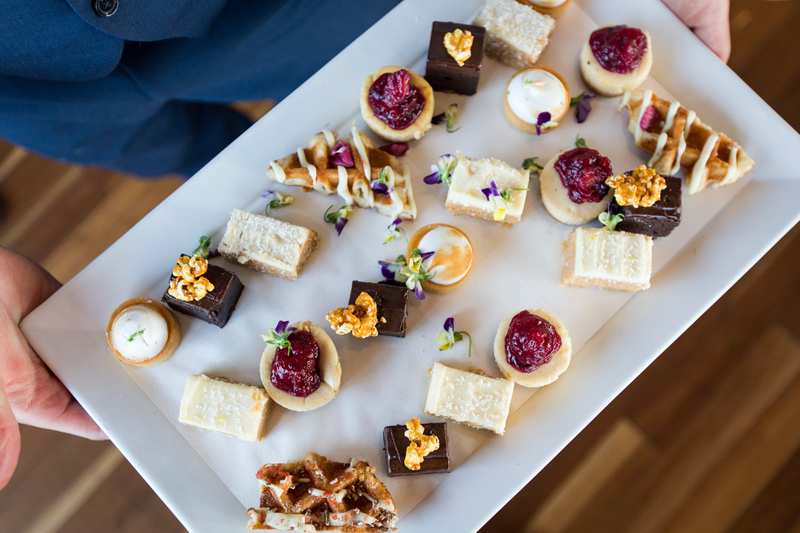 Lunch was provided by The Fresh Collective, and included delicious share plates of baked salmon, slow-roasted beef, three-cheese macaroni, salads and of course dessert. 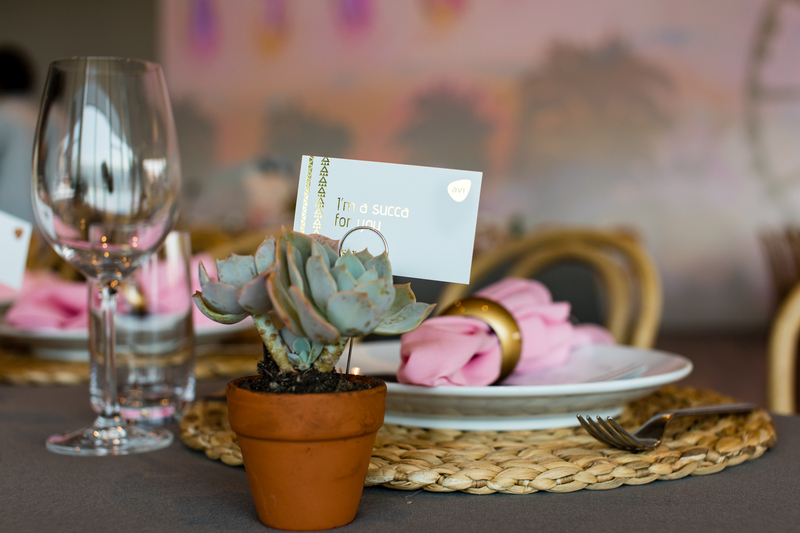 Mini succulents were used as table place card holders, which were then re-purposed as a take-home gift after the event. 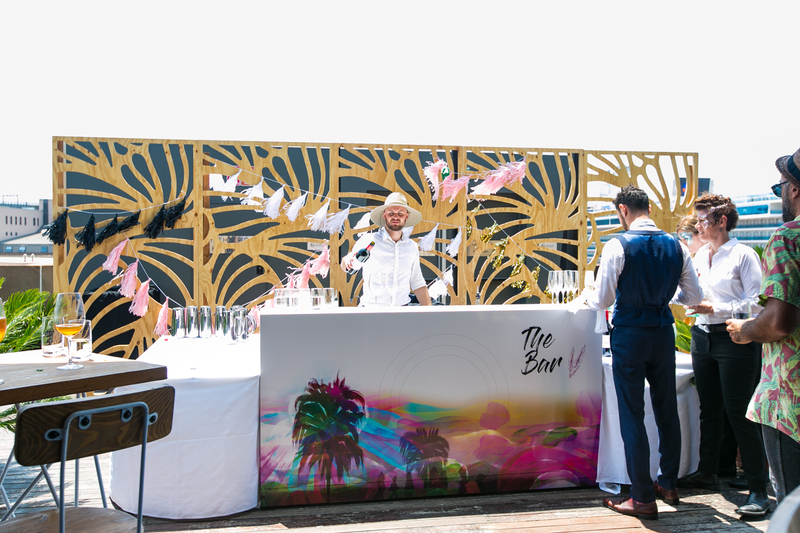 A live DJ spun festival tunes, while a full wall-wide projection showcased a custom festival motion graphics hand-drawn by AV1’s media team. 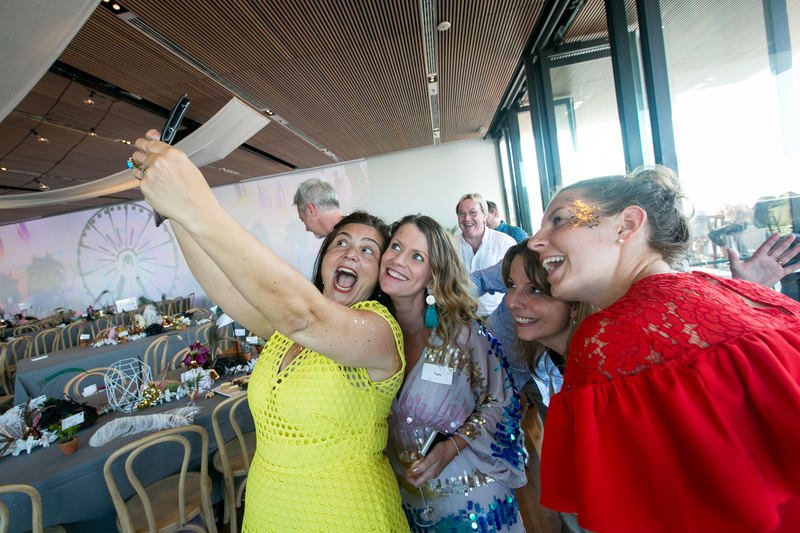 Oneill Photographics were behind the cameras, snapping guests in action.